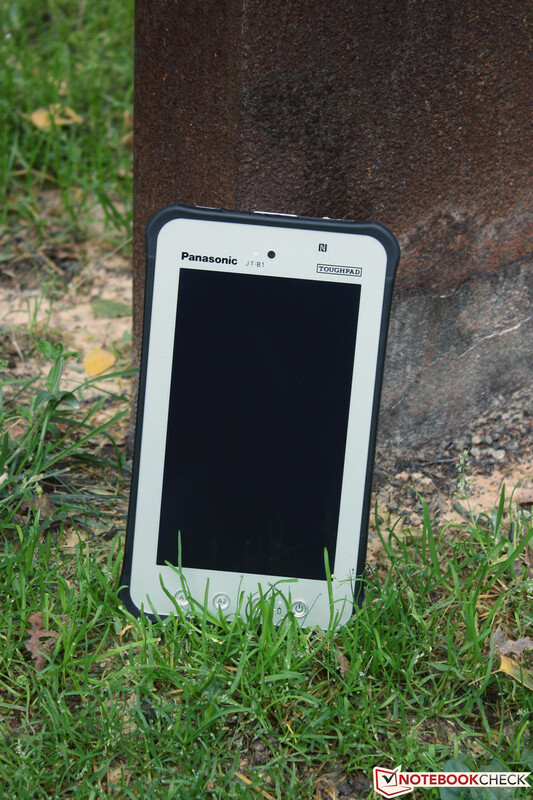 Panasonic adds a 7-inch fully ruggedized tablet to its product range with the Toughpad JT-B1. The device is IP certified to be water and dust proof and was tested for compliance to MIL-STD-810G standard. A dual-core CPU from Texas Instruments should deliver the necessary performance. In addition, the specs include WWAN, docking port, GPS, NFC, WLAN and an expansion port for bar code and magnetic card readers. Panasonic designed the device for mobile field workers in the industry. The Japanese company claims, that the device is suitable for use in company oil rigs, power plants and construction sites and even for public security forces and military. We only had a single similar device of this category under review so far: Although the Unitech TB-100 is based on significantly older technology, it is certainly robust. The Fujitsu Stylistic M702 is only a semi-ruggedized tablet with IP certification. The performance of our test model is mid-range. It uses similar components to the Amazon Kindle Fire HD 7 or the Samsung Galaxy Tab 3 8.0. Our review covers, how the Toughpad JT-B1 compares to the competition in performance and what it can stand. The front is protected by Corning Gorilla Glass 2. The tablet is very bulky and robust. The case is 220 x 129.5 x 17.8 mm (length x width x height) (~8.7 x 5.1 x 0.7 inches) and weighs 549 grams (~1.2 pounds) without strap. 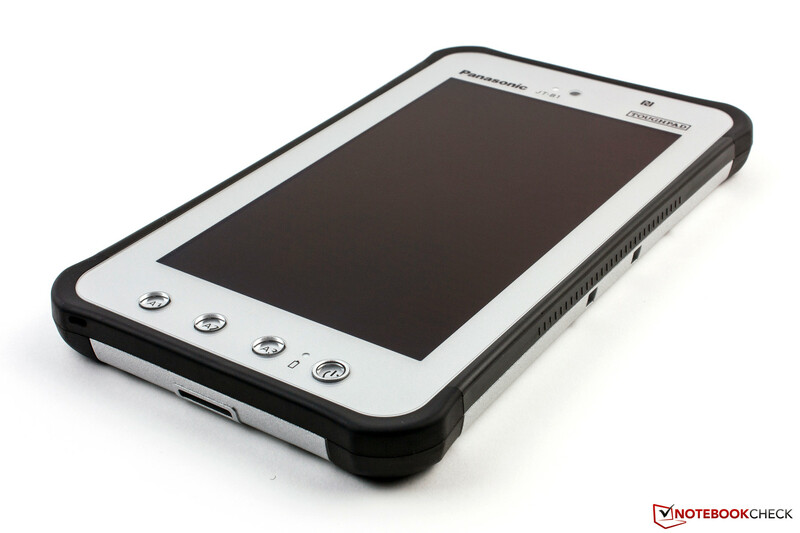 Therefore, the Panasonic Toughpad JT-B1 is relatively bulky and heavy. It is made from silver plastic, which appears robust and feels a bit rough, but it sits comfortably in the hand. 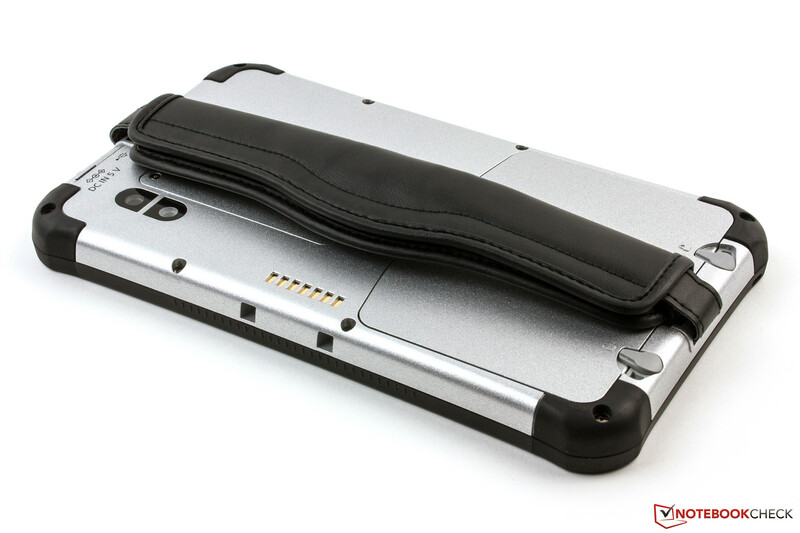 The display and the edges of the fully ruggedized tablet are protected by a thick, black rubber coating. Corning Gorilla Glass 2 shields the display from damage. The replaceable battery is a special feature. Two bolts hold it in place. It remains in place even if it is not closed in error. The tablet cannot be used without a battery. If one of the locks is opened during operation, an alarm signal rings. The Toughpad is stiff, but it creaks from side-to-side-twisting. The whole device appears to be pressure resistant. However, if you press the backside hard enough, you can create pressure waves on the display. The same is true for the front side. If you press the left or right display frame hard enough, you can trigger a touch event. Nevertheless, the device is very robust and can stand a lot. According to the IP65 certification, the tablet is completely protected against dust, and hose water from all directions. In addition, Panasonic engaged an independent institute to test the device for compliance to the military standard MIL-STD-810G. 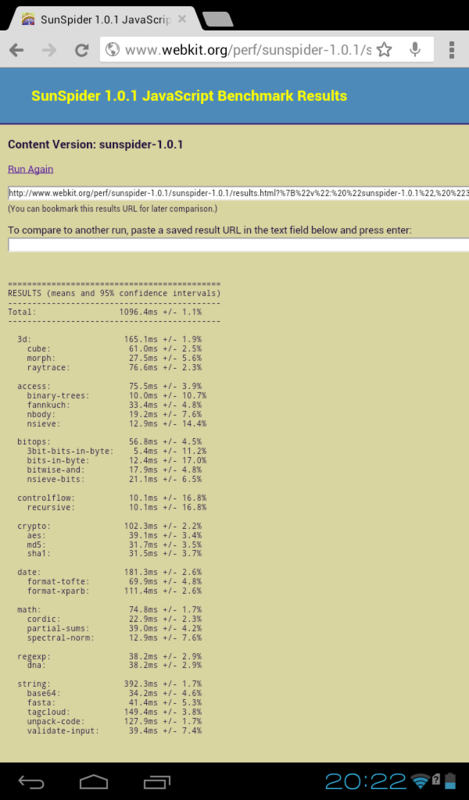 We got a detailed list of all tests performed upon our request. These include falls from 1.50 m (~4.9 feet), operation with ambient temperatures between -10 °C and 50 °C (14 and 122 °F), use at an altitude of 4572 m (15,000 feet), heavy rain, high humidity (95%), rapid temperature changes, dust and sand resistance, and several vibration and shock tests. The tablet proved to be very sturdy. 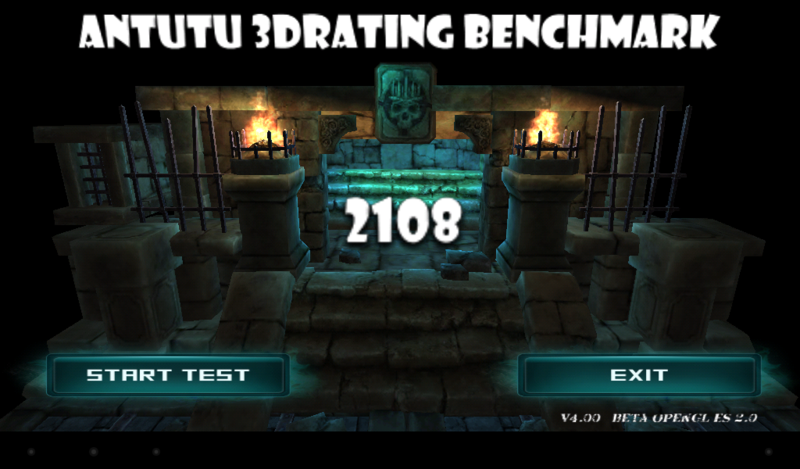 We tested its robustness as far as we could in realistic tests and it turned out to be as tough as the Unitech TB100. The Toughpad JT-B1 distinguishes itself from the competition and its connectivity significantly differs from consumer tablets. It does not have a volume control, which is logical, as it is not a multimedia device. Apart from the power button, which has a different haptic because of an additional plastic ring, there are three further function keys. 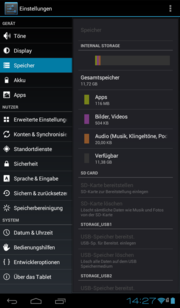 The three typical Android functions (back, home, app switch) are assigned to them ex factory, but the user can assign different apps, settings, and even input shortcuts to them. The docking port is designed for compatible car mounts, which can be used to charge the device. Beneath the cover on the rear side, there is an interface for connecting magnetic card and bar code readers. An optional smartcard reader can also be used. 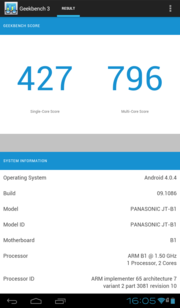 Google's Android 4.0.4 Ice Cream Sandwich is used as the operating system. It is already slightly outdated. Its design was not adjusted in any way, but security options were added. Apart from Trusted Boot and Root Protection, the Panasonic Toughpad also supports IPSec VPN Client. In addition, it is able to decode FIPS 140-2 and can be connected to an anti-theft compatible dock. Unfortunately, the GPS module of the Panasonic Toughpad JT-B1 cannot completely convince. The position can be determined, but this takes above 2 minutes outdoors. In addition, the component is not able to establish a permanent connection to the satellites. Again and again, the connection broke off during our test. Therefore, it was surprising that a geolocation was possible indoors. 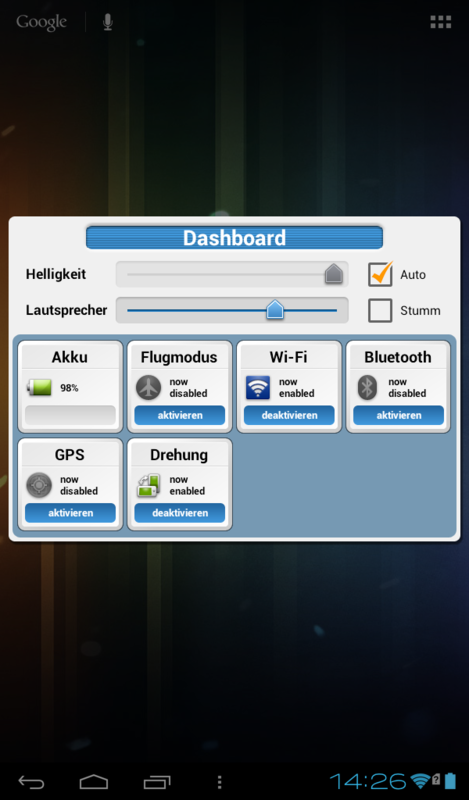 The tablet can be connected to a network via a Wi-Fi hotspot. The Wi-Fi component transmits in the frequency ranges of 2.4 and 5.0 GHz and supports IEEE 802.11 standards a, b, g, and n. Therefore, it should allow an especially good range, but the signal strength already falls to 50% ten meters (~33 feet) away from the router. You can also connect to the Internet via a Micro SIM card. This works very well. 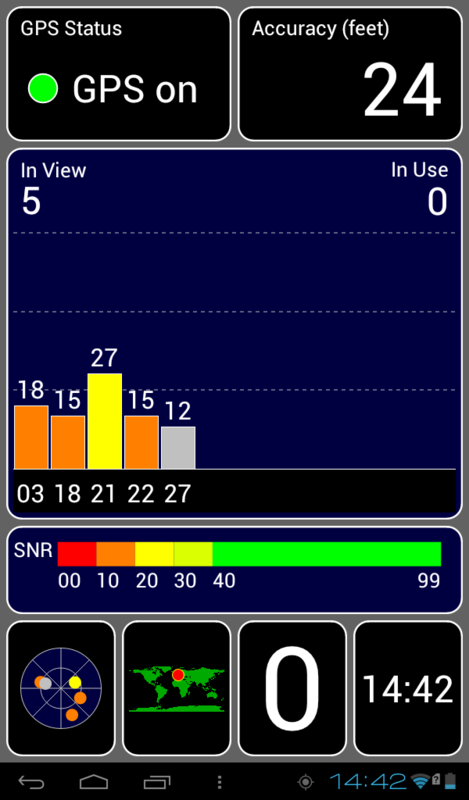 All usual data standards including HSPA+ and LTE are supported. However, if you think you can also phone with the device, since it is equipped with a WWAN modem, you will be disappointed. The mobile data connection can only be used for accessing the Internet or establishing a VPN connection. However, you can use Skype for phoning. Bluetooth 4.0 and NFC complete the communication features. The Panasonic Toughpad JT-B1 features two cameras. The web cam on the front side has a resolution of 1.2 MP (1280x960 pixels) and is convenient for video calls. The main camera on the backside has a resolution of 13 MP (4160x3120 pixels) and uses an LED flash on demand. It has not been designed for photography as such. 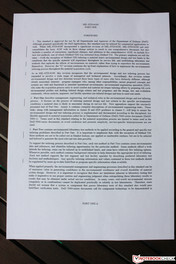 The high resolution should allow taking highly legible pictures of texts. This works well in good light conditions. If it is slightly dimmer, the auxiliary LED is sufficient, to take sufficiently legible pictures of texts. 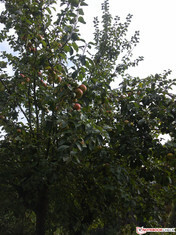 Even occasional snapshots are not a problem in good ambient light. However, backlit photos tend to be overexposed and photos tend to be noisy when taken in low light conditions. As usual, only a few accessories are included: a power adapter with a nominal power of 8 Watts (5 V, 1.6 A), a hand strap, and a cleaning cloth. With the hand strap, the tablet can be held more safely and sometimes moved to the wrist if you have to have both hands free. Panasonic offers many optional accessories including compatible bar code and magnetic card reader, smartcard reader and car docks. Depending on the vendor, an original replacement battery for the JT-B1 costs between $120 and $180. 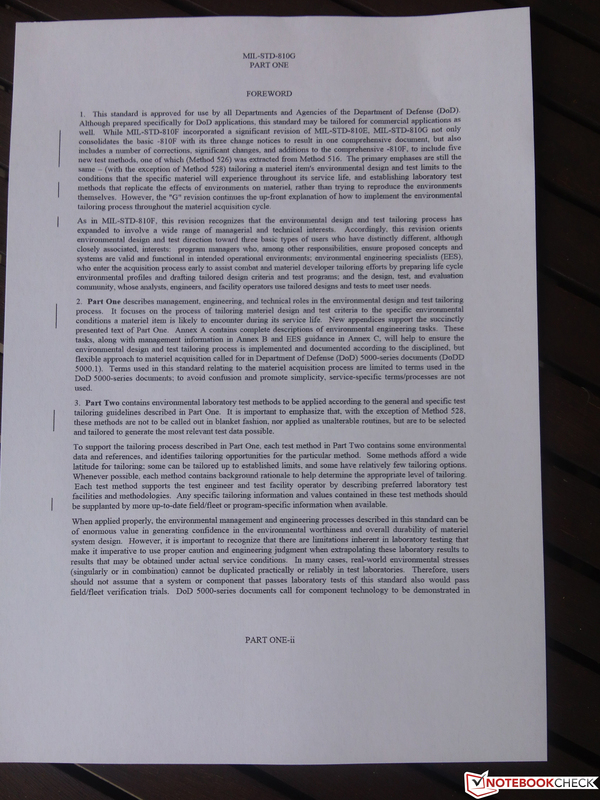 Panasonic grants a 36-month warranty for its product, which is valid worldwide. The warranty also covers damages the tablet is certified or tested for including the MIL-STD-810G standard. Warranty extensions are not offered. The capacitive touchscreen supports multi-touch with up to four points. Although this is not much, it is sufficient. The touchscreen should respond slightly faster. Sometimes we had to repeat gestures. Many devices are more responsive. In addition, the gliding traits are poor. 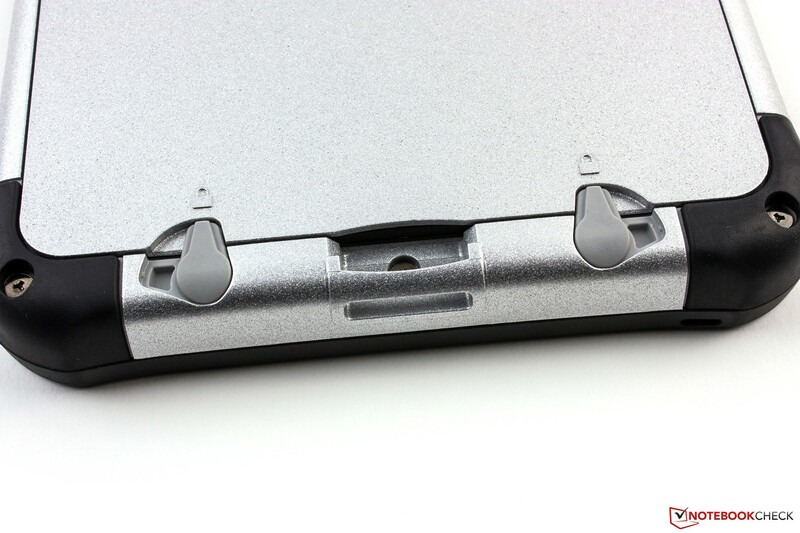 The fingers do not slide smoothly on the display surface of the Toughpad JT-B1. In addition, it is a fingerprint magnet. 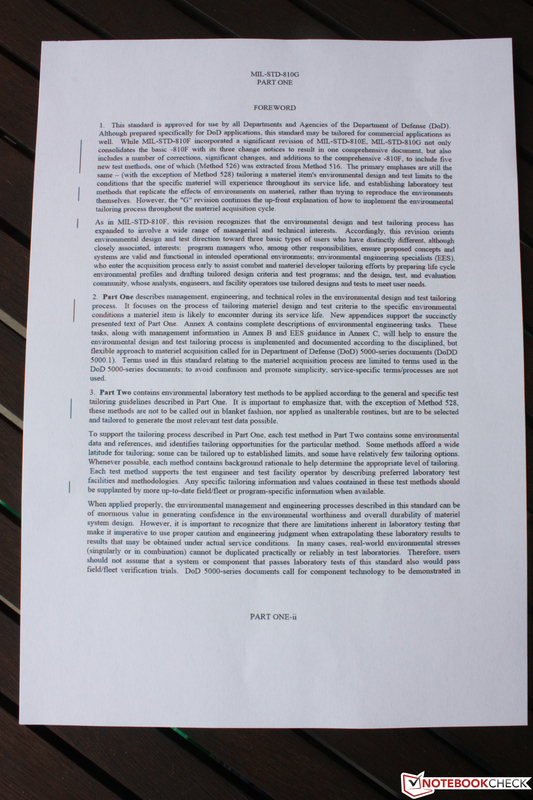 So, the content might become unreadable depending on viewing angle. The sensitivity of the touch screen can be adjusted to two levels: normal and high. If you compare it to highly sensitive models like Nokia's Lumia 920 or 925 models, you will be disappointed. Regardless of the settings, you cannot use it with gloves, although this would certainly have been useful. We cannot tell what the high display sensitivity is good for. 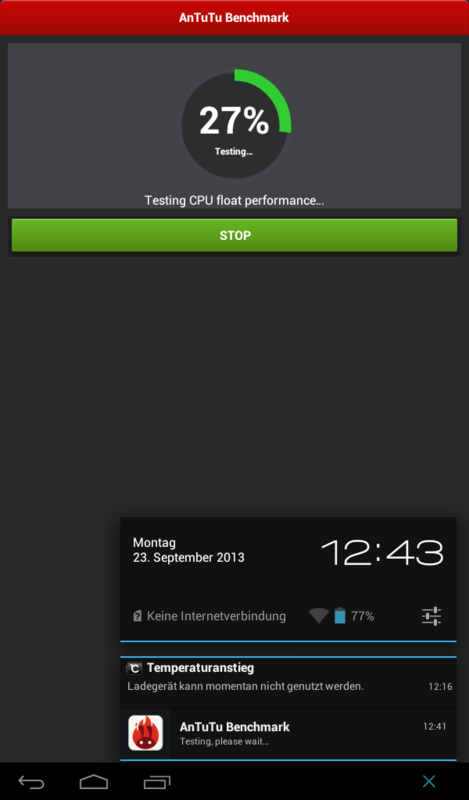 It actually seems that the Toughpad responds even slower with this setting than in normal mode. The keyboards are Android standard and Panasonic did not modify them. 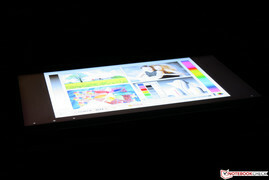 The 7-inch multi-touch display features a resolution of 1024x600 pixels. 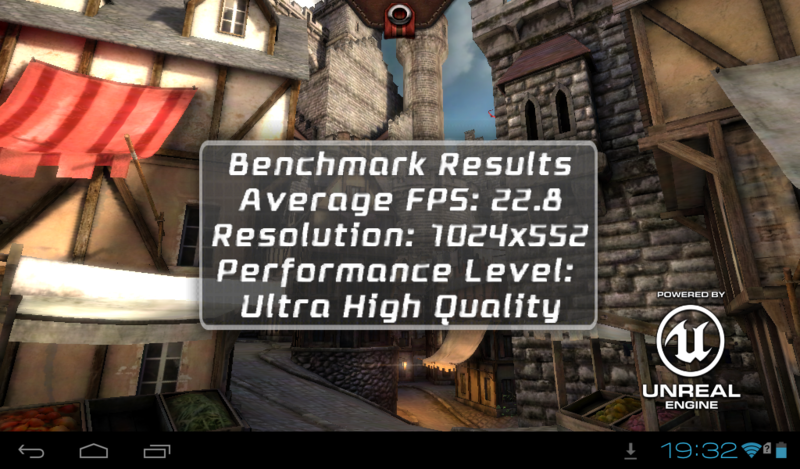 This gives a 16:10 format and a pixel density of 170 ppi, which is not particularly high and rather entry level. The older Kindle Fire HD 7 already had a resolution of 1280x800 pixels. Today's top models, e.g., Google's Nexus 7 even features a resolution of 1920x1200 pixels. 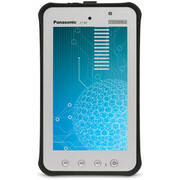 The brightness of the Panasonic Toughpad JT-B1 is very high with up to 630 cd/m². Unfortunately, the brightness distribution of 77% is not particularly even. 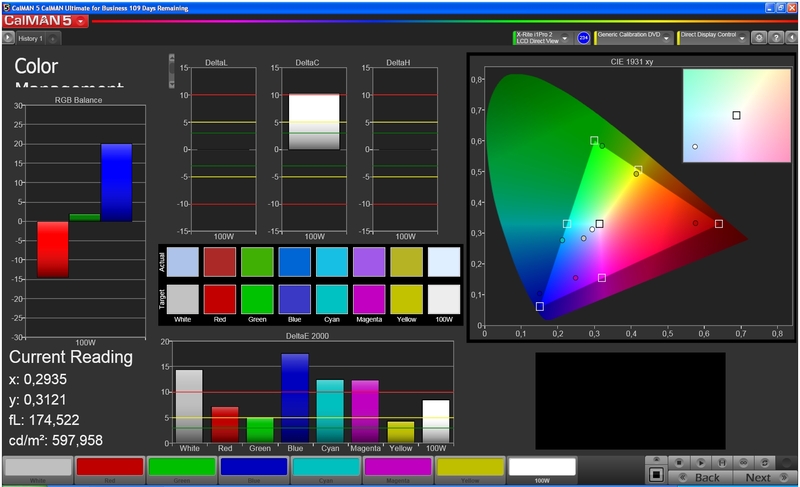 The average brightness of 561 cd/m² is slightly lower, but still exceeds the 500 cd/m2 specified by Panasonic. Only the Nexus (max. 549 cd/m²) can keep up with our test model in this aspect. The black value of 0.92 cd/m² is rather high. Black does not look deep black but rather grayish. The contrast of 647:1 is good. Even the Nexus 7 cannot keep up with our test model, because of its higher black value (1.07 cd/m²) and lower contrast (513:1). 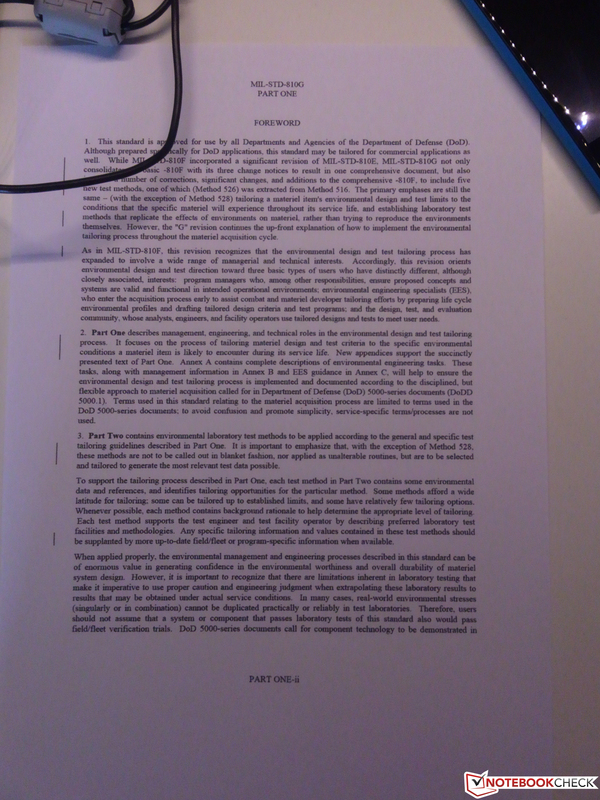 The Fujitsu Stylistic M702 (0.46 cd/m², 537:1) has a good black value, but it is significantly darker (max. 274 cd/m²) than the Toughpad. 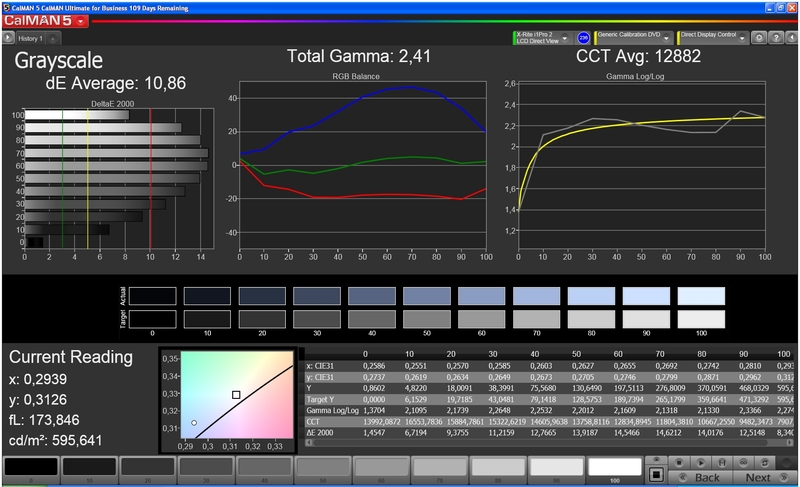 The color calibration is not particularly good ex factory. Gray levels have a high DeltaE of 10.9. 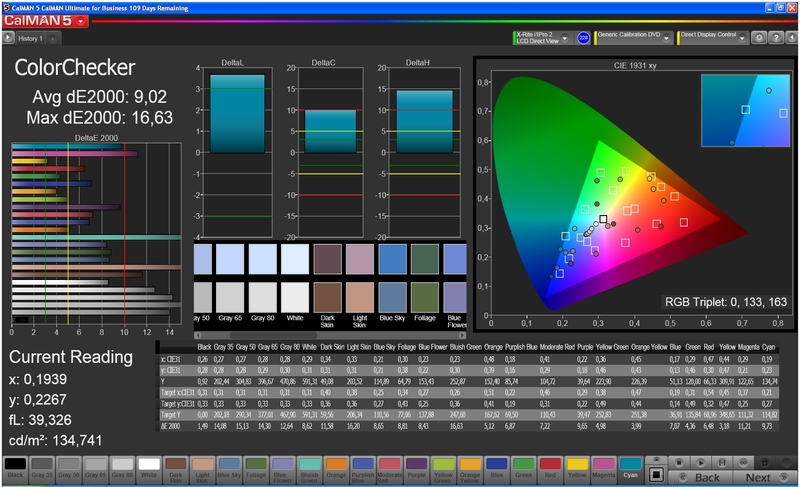 The results of the Color Checker (dE 9) are similar. 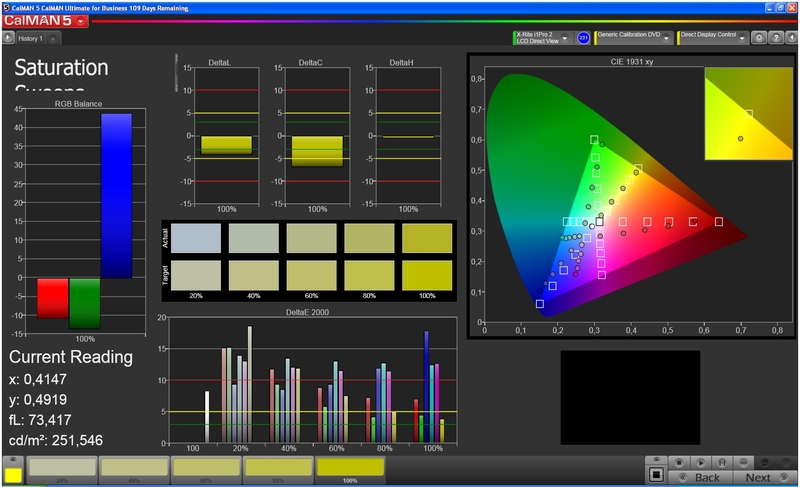 The deviations of color fidelity and color saturation are visible, too. This is especially apparent in blue, cyan and magenta. Also white and gray levels appear - typical TN panel - bluish. However, this is not important for everyday tasks, as the tablet does not focus on displaying precise colors. 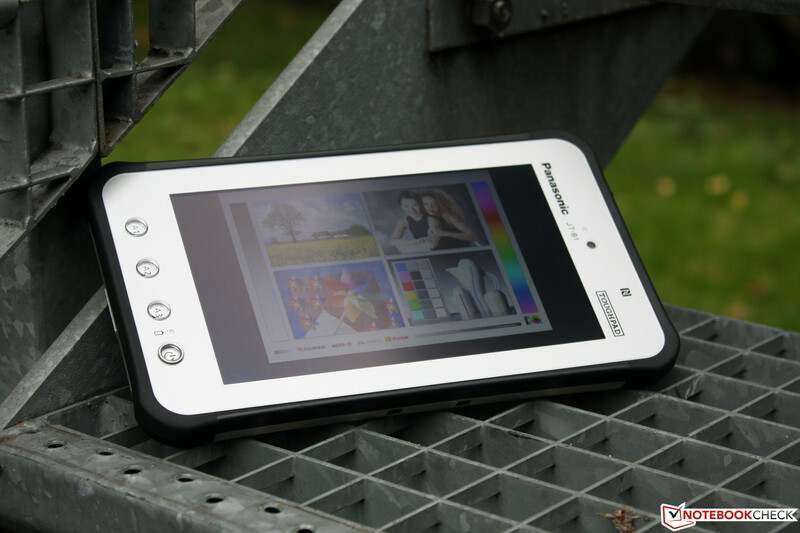 Thanks to its high brightness and good contrast, the Panasonic Toughpad JT-B1 performs well outdoors. A further advantage is that the display is already covered by an anti-reflective foil. This works well in practice, but the foil appears to glisten in the sun, which is disturbing. 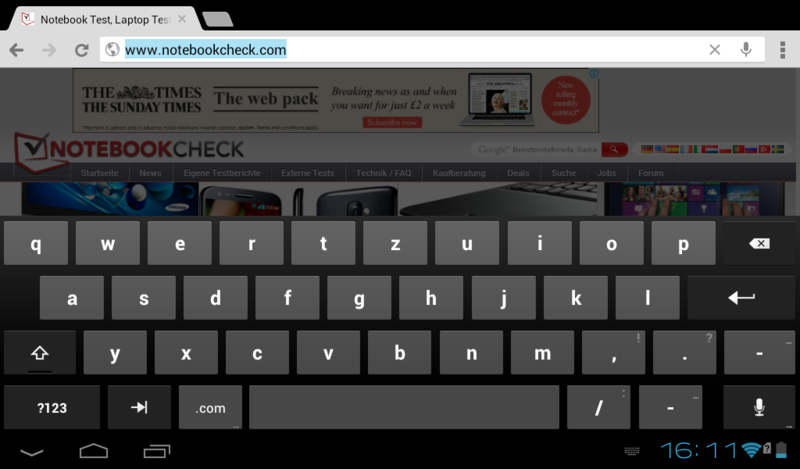 However, you can still easily read from the tablet in bright environments. 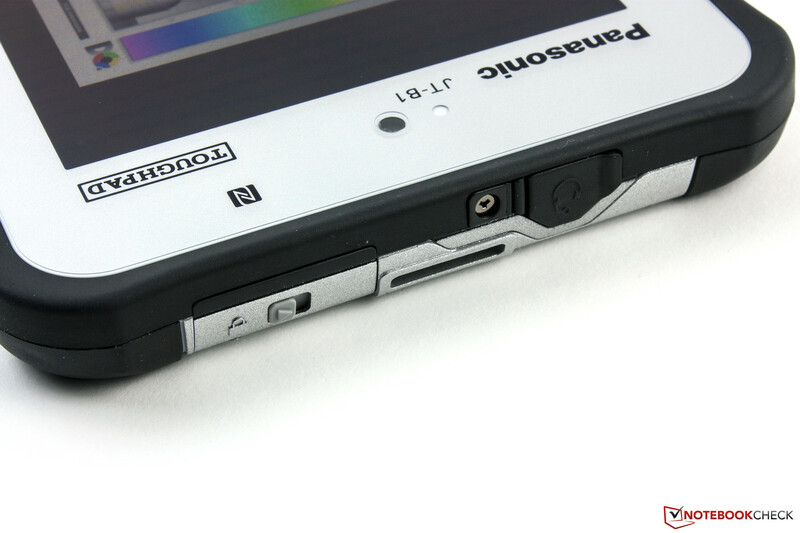 Viewing angles: Panasonic Toughpad JT-B1. As it is a TN display, its viewing angles are not very wide. But, the viewing angles of the Toughpad JT-B1 are particularly poor. Color inversions are already clearly visible from 20 degrees. The image is completely unreadable from about 30 degrees in the horizontal direction. 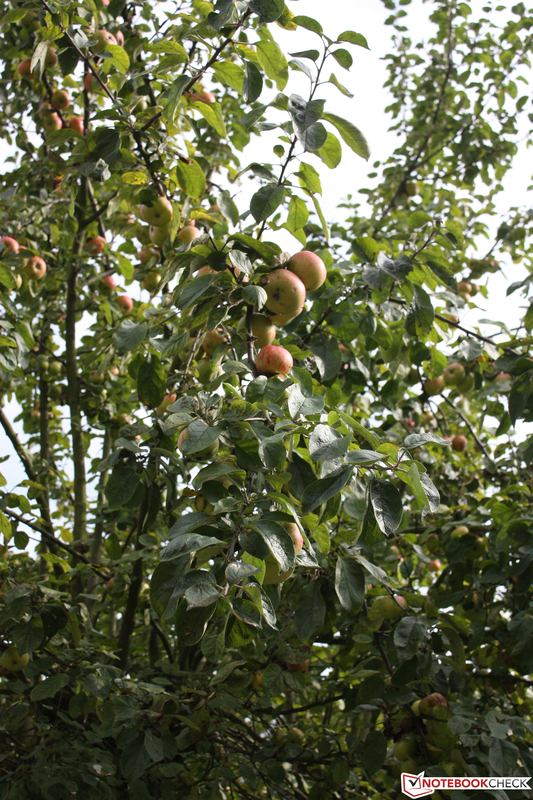 The viewing angles are significantly wider in the vertical direction. 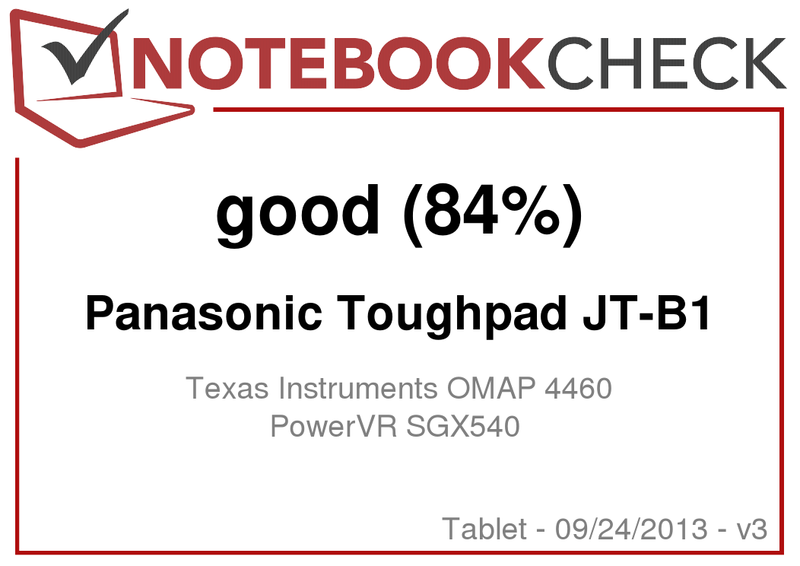 The Panasonic Toughpad JT-B1 uses a dual-core OMAP 4460 CPU from Texas Instruments. Usually, the maximum clock rate of its two cores is 1200 MHz, but the manufacturer increased it to 1.5 GHz and the benchmarks actually profit from the higher clock rate. 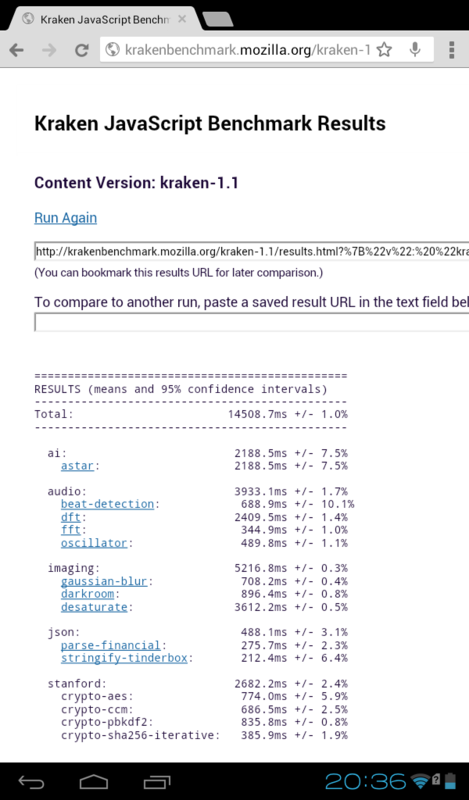 In Linpack, the test sample is faster than most of its competitors. The Galaxy Tab 3 8.0 is the only device featuring a faster dual-core CPU. 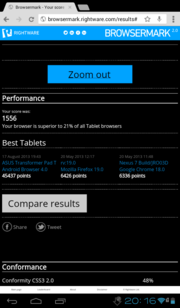 Apart from it, only the Bullman Tab 8 and Nexus 7, which both feature quad-core SoCs, are faster. 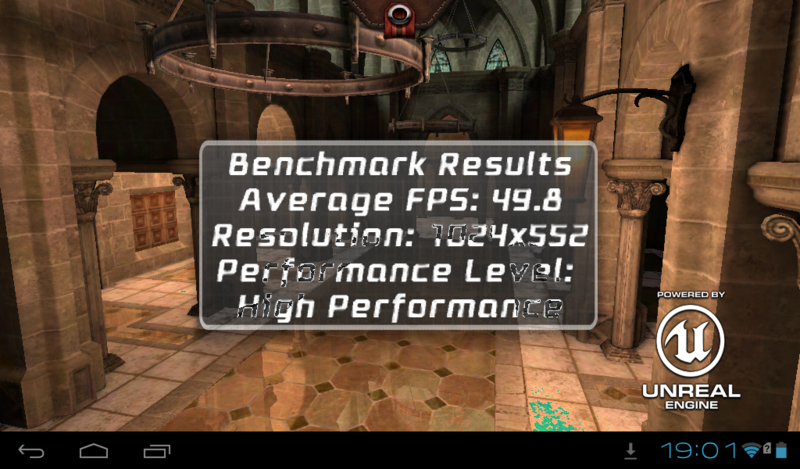 The PowerVR SGX540 graphics of the Toughpad shows weaknesses in our tests. 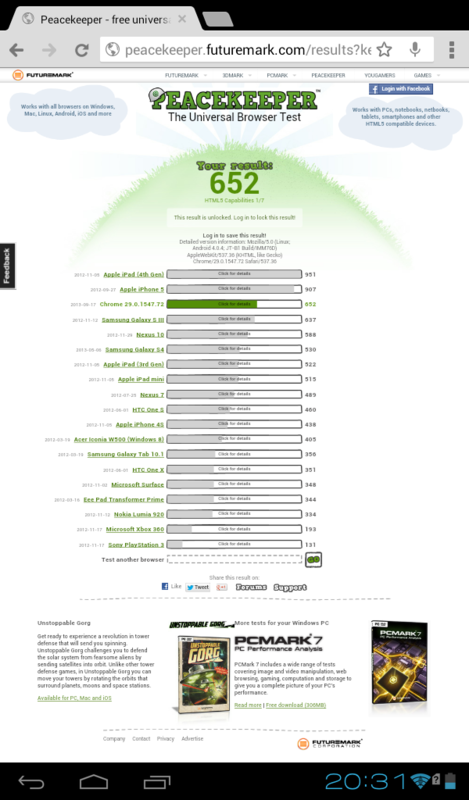 Nearly all competitors are 150 to 1500% faster in GFXBench 2.7. 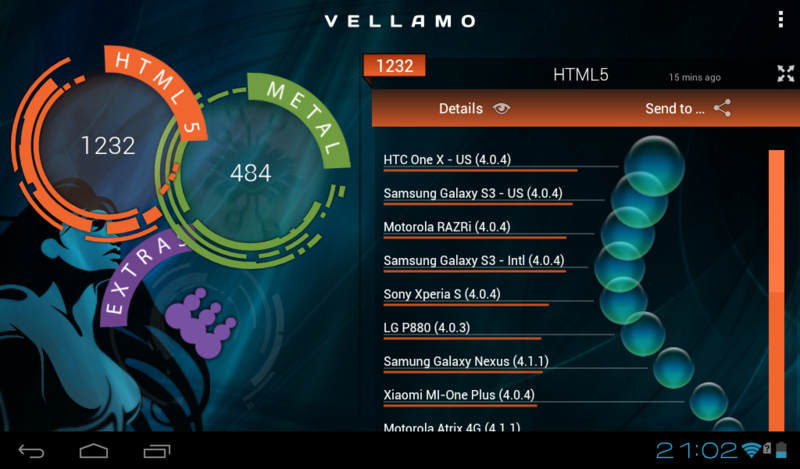 Only the Bullman Tab 7 Mini is even slower. 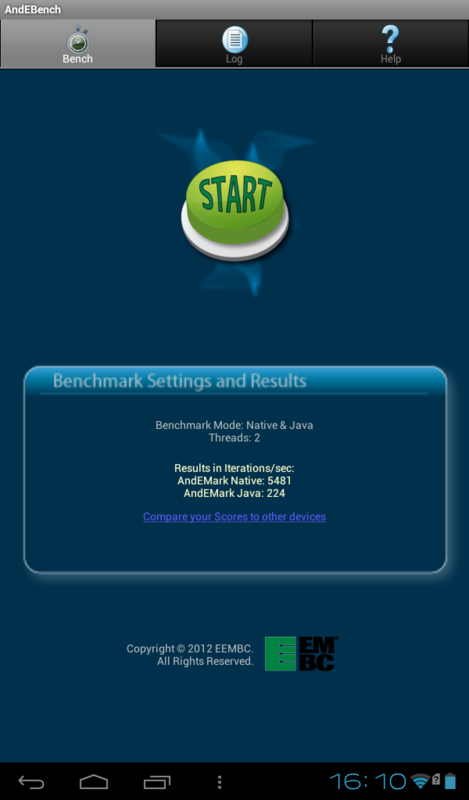 Benchmarks like Basemark X or 3DMark could be installed and launched on the test model, but they crashed during execution. In addition, we simulated the operation of the tablet with an environment temperature of 50 °C (122 °F). We exposed the Toughpad to these conditions for just under an hour and left it streaming a video from YouTube. It stuttered at the end. Inputs were still possible, but the response of the tablet was slightly delayed. 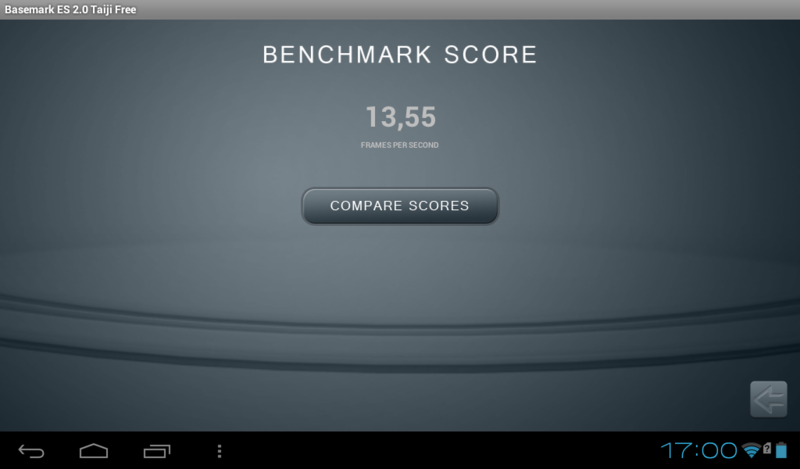 The device only achieved 6464 points in the AnTuTu benchmarks V4 we ran immediately afterwards. The result was 12,347 points with normal room temperature. Therefore, the device reaches its limits when the ambient temperature is high, and you will observe considerable throttling. Panasonic incorporates 16 GB RAM in its Touchpad. After the first boot, about 11.4 GB can be used by the user. 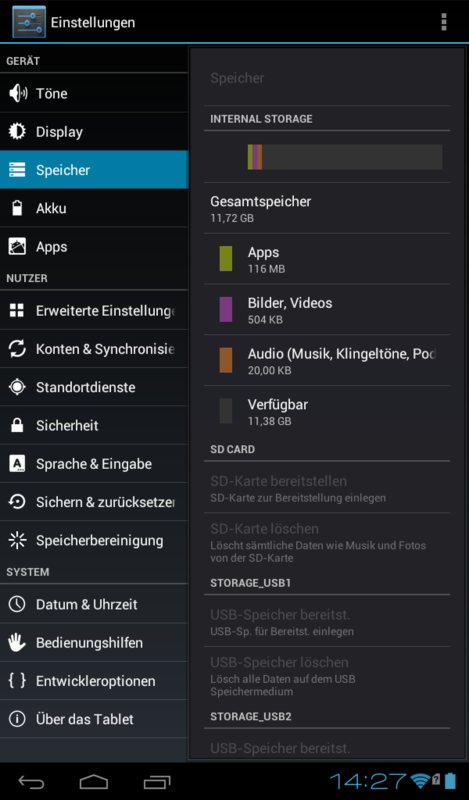 The rest of the storage capacity is occupied by the operating system and preinstalled apps. You can add up to 32 GB via a MicroSD card slot if needed. The flash memory performs well in AndroBench. Especially the read rates are decent. 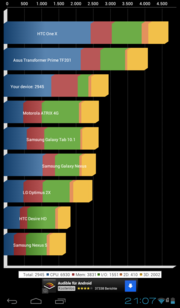 It is faster than the Stylistic M702 and on par with the Galaxy Tab 3 7.0 especially when reading small data blocks (4k). The Touchpad performs well when surfing the Internet and outperforms the competitors. 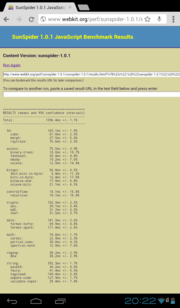 However, this is more due to the browser used than the performance of the components (Google Chrome 29). 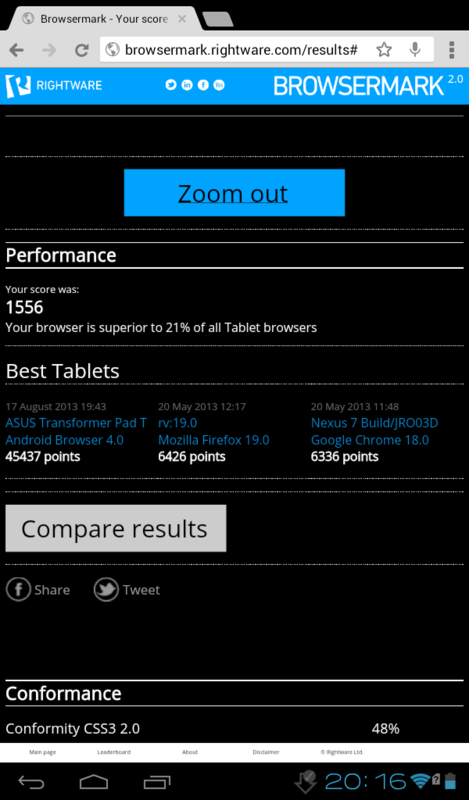 Even the Nexus 7 (2013) is slightly slower here, but it would achieve more points than our test device with the same browser. 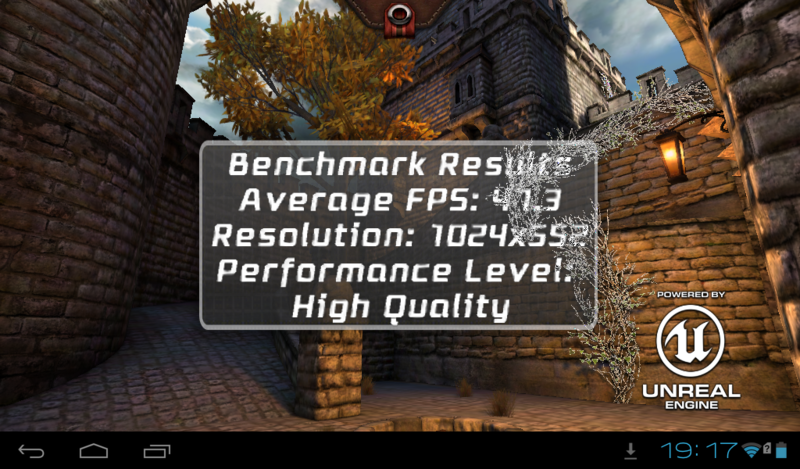 Given the benchmark results of the PowerVR SGX540, we had rather expected low gaming performance. However, demanding games like Iron Man 3 run acceptably. It only stutters a little bit during cut scenes. Casual games, like Angry Birds or Fruit Ninja, do not pose a problem for the Panasonic Toughpad JT-B1. The position sensor works fine, and does not impair gaming experience. But, the touchscreen with its moderate gliding traits and sometimes-poor input precision does. The Toughpad JT-B1 gets rather warm even at idle with a maximum of 39 °C (102.2 °F). The high temperature might be caused primarily by the bright background LED, as it was measured at the brightest segment of the screen. 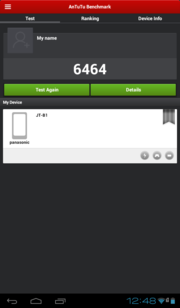 We maximized the temperature of the tablet with the Stability Test app. 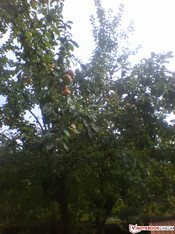 The maximum temperature of 41.3 °C (106.34 °F) was measured near the NFC chip after one hour. Probably the SoC is also incorporated in this part. According to our measurements, the device only gets minimally warmer under load than during normal use. The Toughpad remained stable at high ambient temperature (50 °C, 122 °F) and completed its tasks - albeit slowly. As too high temperatures might damage lithium-ion batteries, we were curious to see how the device reacts. A battery of this kind requires a temperature between 0 and 45 °C (32 and 113 °F) for charging. If the temperature is higher, the pressure in the battery might get too high. 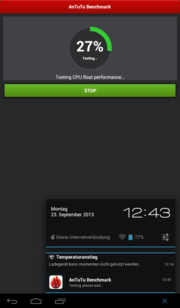 Android displayed a message that the battery cannot be charged when the ambient temperature was 50 °C (122 °F). Great! It does not become dangerous. (±) The average temperature for the upper side under maximal load is 37.5 °C / 100 F, compared to the average of 30.7 °C / 87 F for the devices in the class Tablet. (±) The maximum temperature on the upper side is 41.3 °C / 106 F, compared to the average of 34.8 °C / 95 F, ranging from 22.2 to 51.8 °C for the class Tablet. (±) In idle usage, the average temperature for the upper side is 34.7 °C / 94 F, compared to the device average of 30.7 °C / 87 F.
The Panasonic Toughpad JT-B1 comes with a mono speaker, which is waterproof according to the manufacturer. The multimedia properties of the speaker are poor. Basses are hardly audible, mid tones are very thin and treble could sound clearer. The sound is slightly too dull at maximum volume and the sound tends to distort when playing sequences dominated by treble. You can live with this during online calls via Skype. In contrast, we were surprised by the good microphone, which records voices very precisely. The power consumption of the Toughpad JT-B1 is already relatively high while idle and reaches 6.9 Watts at maximum brightness. The competition is more frugal. For example, the HP Slate 7 only needs 4.3 Watts in the same scenario, but its display is significantly darker. The energy consumption reaches a maximum of 8.9 Watts under load. Again, the Panasonic is the most power hungry, but it also features a CPU with a relatively high clock rate. The Samsung Galaxy Tab 3 8.0 is very frugal and performs better. Although it also comes with a dual-core CPU with 1.5 GHz, it only requires up to 5.8 Watts. 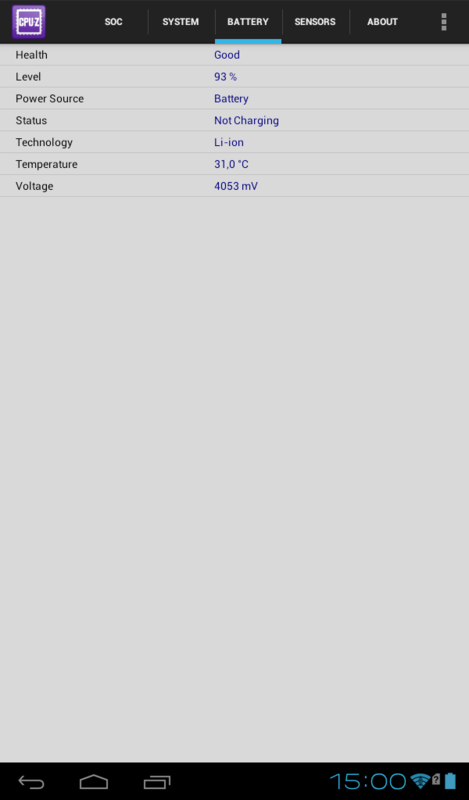 The high power consumption during stand-by (1.2 W) and while turned off (1.1 W) stands out negatively. In addition, the power adapter's nominal power of 8 Watts is too low given the maximum power consumption. 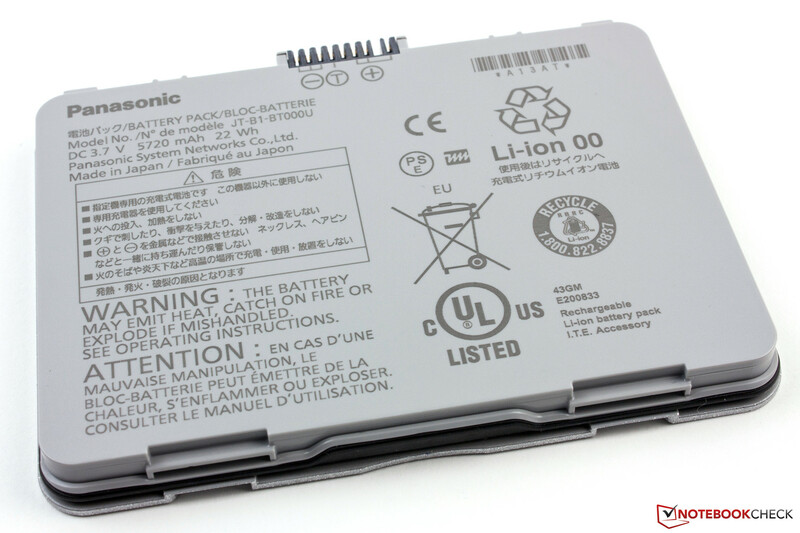 The lithium-ion battery of the Panasonic Toughpad JT-B1 has a capacity of 22 Wh (3.7 Volts, 5720 mAh), which is significantly lower than the Fujitsu M702's (37 Wh). But, it can easily be replaced. A complete charge requires just under 6.5 hours. We recorded the maximum battery life of the device with minimum display brightness and with all wireless modules apart from Wi-Fi disabled. 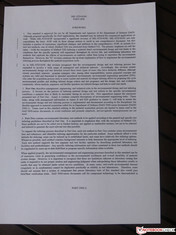 An online script simulates reading of a book. In this scenario, the Toughpad kept running for nearly 15 hours. We ran the Stability Test app (CPU + GPU) with maximum brightness and all wireless modules enabled, in order to record the minimum battery life. The tablet shut down after just under 3.5 hours. "Surfing via Wi-Fi" is a more realistic test. The display brightness is dimmed to 150 cd/m², only the Wi-Fi module is enabled and the test device runs a browser script, which loads new web sites every 40 seconds. This test ran for above 8 hours. 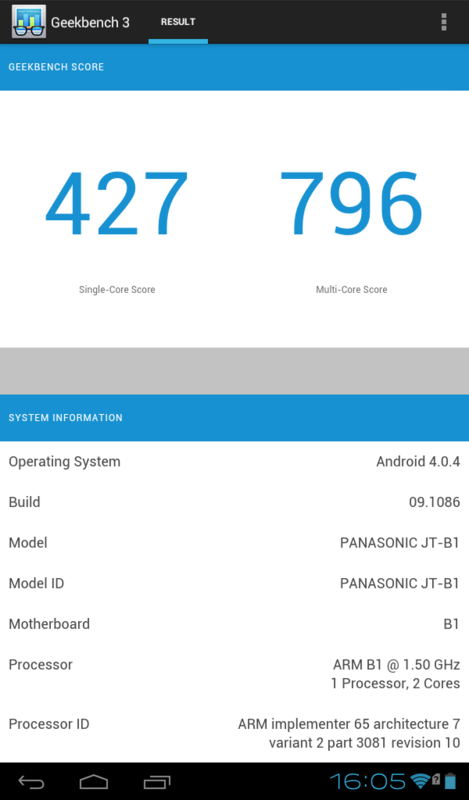 The battery runtimes of the Panasonic tablet are decent. It should be able to run a whole workday in practice even if it is intensively used. We noticed that the battery was emptied up to one percent of its capacity. A slightly higher safety margin would be desirable to avoid deep discharge. 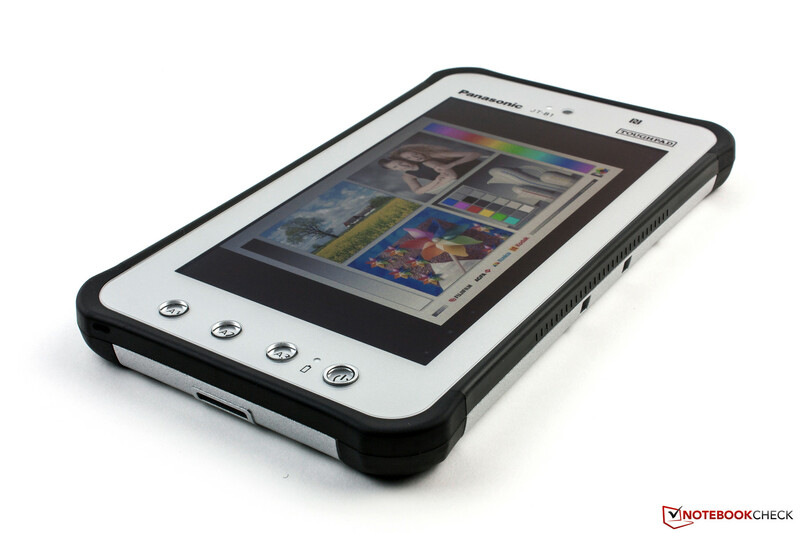 In Review: Panasonic Toughpad JT-B1. Test device courtesy of Panasonic Germany. The Panasonic Toughpad JT-B1 is as sturdy as the Japanese state it is. 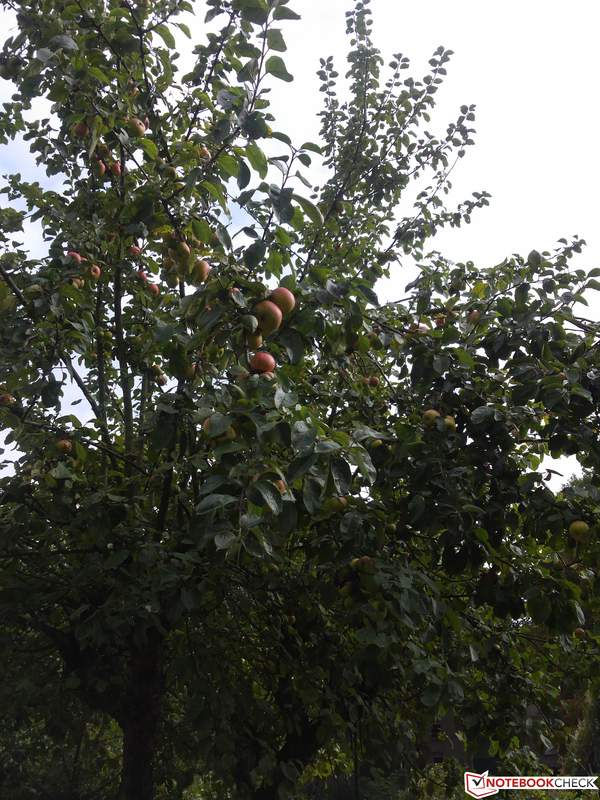 It proved to be very resistant in our test and can endure a lot. 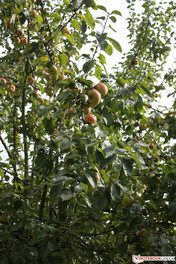 The display is even brighter than the manufacturer's information making it perfectly suitable for outdoor use. Unfortunately, the touchscreen does not perform well. It responds too slowly and its gliding traits are poor. In addition, we would have appreciated if the device would optionally allow input with gloves. 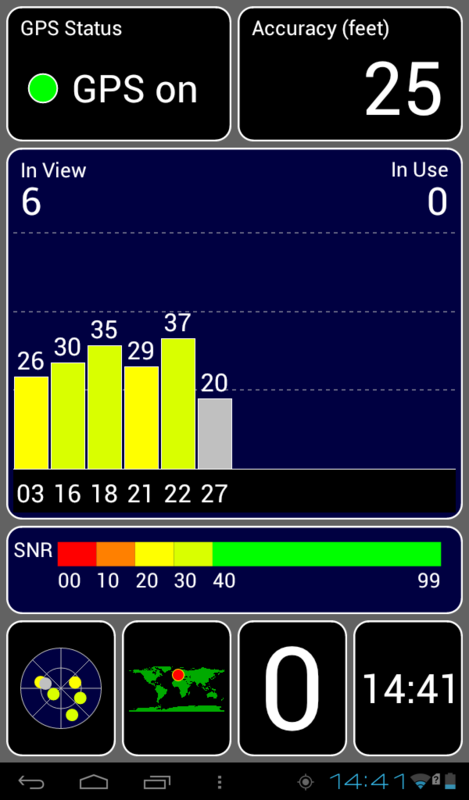 Another point of critique is the modest GPS receiver. As the test model is primarily designed for outdoor use, it should perform better here. However, the device shines with several useful security features. As a result it is fully suitable for business use. The Toughpad JT-B1 is a real workhorse. It is designed for industrial use and not a multimedia tablet for use in the bath like the Sony Xperia Tablet Z. It might not be worth just under 900 Euros (~$1217) for private use, but it could be an interesting alternative for outdoor junkies and those engaged in the industry. 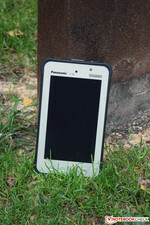 In Review: Panasonic Toughpad JT-B1. Test sample courtesy of Panasonic Germany. 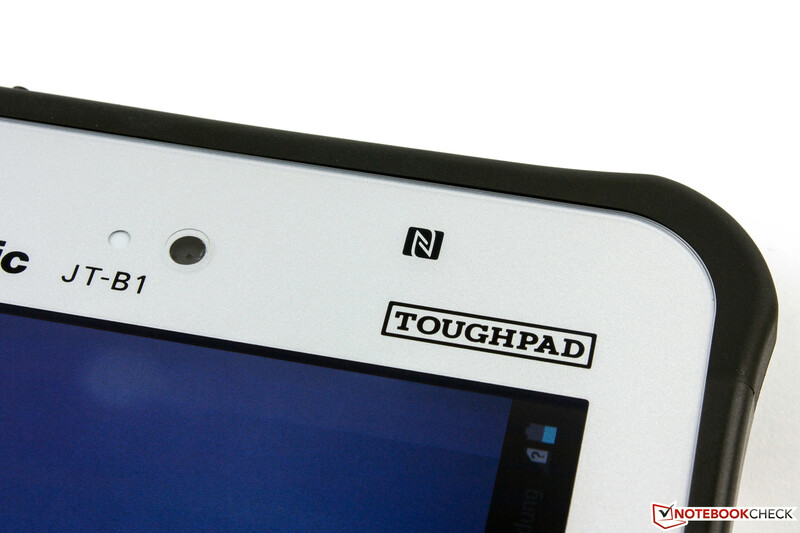 The Toughpad JT-B1 features a 7-inch TN display. It has a resolution of 1024 x 600 pixels and is very bright. Three user definable buttons and the power button. The cover of the audio port could be better. The Cover in front of the USB and the DC connector seems robust. The JT-B1 is IP65 certified and passed MIL-STD-810G tests. The 13 MP camera features an LED flash. The battery is secured by two bolts. If one of the locks is opened during use, an alarm will ring. The battery almost takes up one half of the rear side. 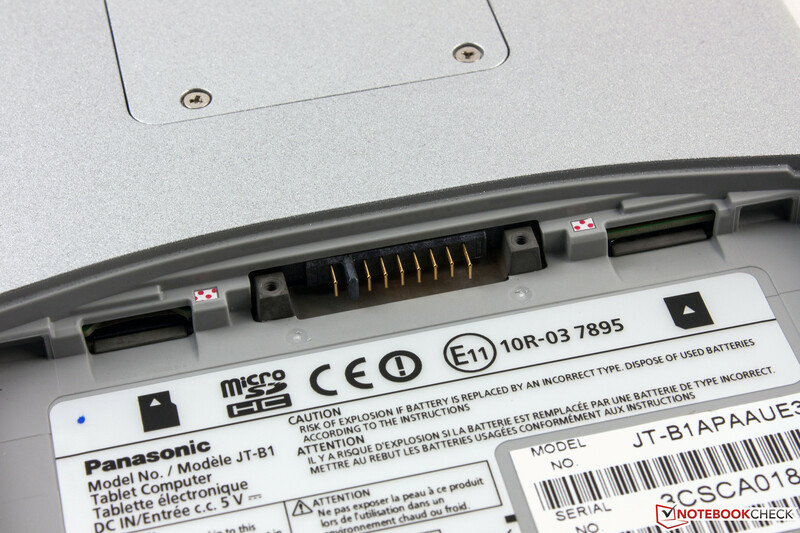 Micro SIM and MicroSD card slot are beneath the battery. The battery capacity is 22 Wh. The function keys can be configured in the UserButtonManager. 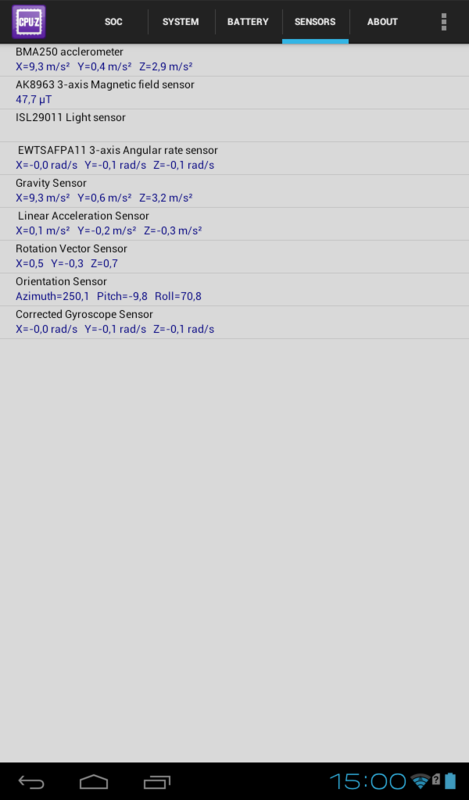 All important functions are available in the Dashboard app. 11.4 GB of the storage capacity are free after the first start. If the device gets too warm, it displays a warning that it cannot be charged at the moment. 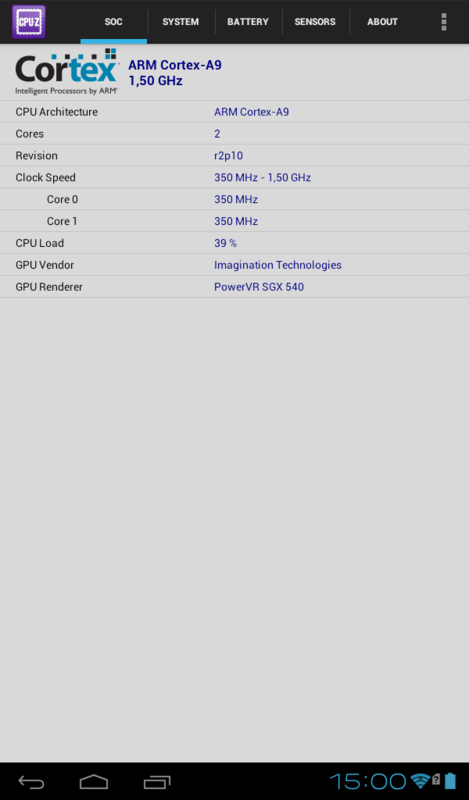 AnTuTu V4 with high ambient temperature. The Toughpad is really sturdy and can stand quite a lot. The build quality is also high-end. 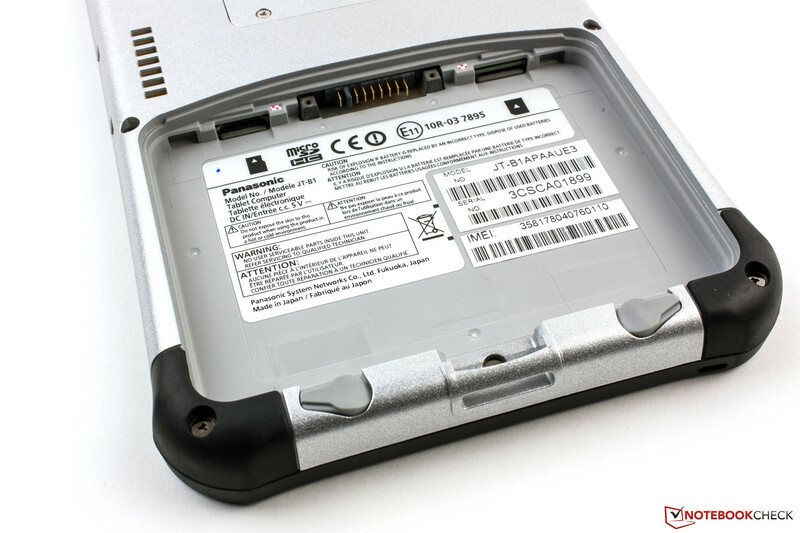 A replaceable battery is real added value in a tablet. The touchscreen responds very slowly. Sometimes, inputs have to be repeated and its gliding traits are poor. We could only find a single flaw in build quality: the pressure sensitivity of the display's sides. If you press the display frame hard enough, a touch event is triggered. The Toughpad hardly has real competitors. The design of the Unitech TB100 and the Fujitsu Stylistic M702 are most similar to the Toughpad's. Of course, many models including the HP Slate 7, the Bullman Tab 7 Mini, the Samsung Galaxy Tab 3 7.0 and 8.0, and the Amazon Kindle Fire HD 7 are on par in performance.